Quirk Pre-Owned, one of the leading used car dealers serving Boston, has a large inventory of vehicles available for under $12K. Whether youre looking for a sedan, SUV, or compact, Quirk Pre-Owned is sure to have the vehicle thats right for you! Those in the market for a compact vehicle can check out the available pre-owned 2010 Toyota Yaris. This 2010 Toyota Yaris is available for just $9,972 and has under 60,000 miles on it. It features a 1.5L engine with a five-speed manual transmission, and receives an EPA estimated 36 MPG highway. This three-door liftback 2010 Toyota Yaris offers seating for up to five passengers and a cargo capacity of up to 26 cubic feet. This is a great vehicle option for smaller Massachusetts family looking for a compact, fuel-efficient vehicle. If youre looking for a larger vehicle, Quirk Pre-Owned has a pre-owned 2008 Dodge Grand Caravan SE available. Purchase this fantastic pre-owned 2008 Dodge Grand Caravan SE for $11,972. A great vehicle option for families, it offers seating for up to seven passengers. It features a 3.3L V6 engine with a five-speed automatic transmission that delivers 175 horsepower. This pre-owned 2008 Dodge Grand Caravan SE receives an EPA estimated 24 MPG highway, and features a number of technology options to keep everyone in the family entertained on longer drives. Currently available at Quirk Pre-Owned, one of the top used car dealershipsserving Boston, is a pre-owned 2008 Ford Focus SES. You can buy this pre-owned 2008 Ford Focus SES for just $11,972. It features a beautiful silver exterior and has less than 44,000 miles on it. It includes a 2.0L engine with a four-speed automatic transmission that receives an EPA estimated 35 MPG highway. This pre-owned 2008 Ford Focus SES offers seating for up to five passengers and features a number of entertainment options including a six-disc CD player, AM/FM radio, and MP3 player. Those in the market for a new-to-you SUV are invited to explore the available pre-owned 2008 Jeep Liberty Sport. This pre-owned 2008 Jeep Liberty Sport is available for $11,972, and receives an EPA estimated 22 MPG highway. It features a silver exterior finish with a dark grey interior. It includes a 3.7 V6 engine that delivers a powerful 210 horsepower. This 2008 Jeep Liberty Sport offers seating for up to five passengers and has a cargo capacity of up to 31 cubic feet. 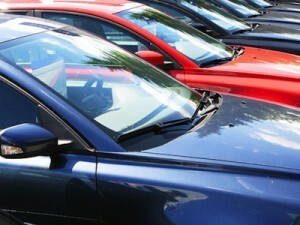 For more information about the affordable pre-owned vehicle inventory available or call (877) 466-1512.